One of the most frequent questions i get asked is: how much protein should I be eating? As with everything else we discuss, the answer is that it totally depends on your goals, health status, training level, etc. For example, a pregnant woman will need way less protein than a 21 year old male bodybuilder. That being said there are good general guidelines we can give as a starting point. For most active adults, who typically weigh between 100-200 lbs, a good amount of daily protein is: 100-200 grams per day. To make things simple and straight forward from a calculation perspective, someone weighing closer to 100lbs should be getting close to 100g of protein per day while someone weighing 200lbs should be getting close to 200g of protein a day. It's a bit more nuanced than this, and I would argue that for most people for health they only need about 1g/lb of lean body mass. But most people don't know their true lean body mass. So, using weight can be an easy, roughly correct, way to calculate it at home. Whether you calculate this based on 1g/lb of weight or 1g/lb of lean body mass or even based on 20-30% of total calories they're all roughly speaking going to come out fairly close to 100-200g per day for most active adults. What does this amount to in human food? An 8oz or half pound serving of most animal proteins (chicken, fish, beef, etc.) will be roughly 40-50g of protein. If it's leaner like chicken it will be closer to 50g of protein per serving. If it's more fatty it will be closer to 40g of protein per serving. So, to take an example, someone who weighs 150lbs would need roughly 150g of protein, which would be roughly 3x8oz servings of protein a day. In future videos, we'll talk about the differences between different types of protein, and special considerations to take into account weighing and measuring protein. ________________________________________________________________ Transcript: Today we are going to talk about protein. So on a previous video we did, a basic introduction to Macro Nutrients. So this is gonna be part of that series where, after giving the general review and introduction, were gonna talk more specifically, about each of the three macro nutrients. So, we're gonna talk about protein, and then eventually carbs and fat as well. And break 'em down, and make it easier for those of you, who want to start to play with your macros and, start manipulation those, in your nutrition and your diet. An easier way to do that. So, let's first talk about, since this is a, video concerning macros and amounts, let's talk about how much of these things, you should be having on a regular basis. So, I categorized the ranges into, a broad range and a narrow range. So, broadly speaking there's a super wide range, of amounts of protein you could eat. But that really becomes so broad because, on the one end, you know this, 0.36 grams per pound of body weight. That's basically the bare minimum, you need to avoid deficiencies. So for an adult male that'd be something like, 50 grams of protein a day, which is a comically small amount. And then on the upper end, technically speaking unless you have, some sort of health condition, there is no physiological upper limit, to the protein that you can consume. But you'd get pretty full pretty quickly, and it would crowd out other macro nutrients, like carbs and fats so, technically speaking, what physiologically you could consume, these insane quantities of protein, like 400, 500 grams. Technically speaking that's not gonna be, realistically feasible for most people. The other way I put it up here, is in terms of percent of calories. So, 15%, some you could potentially say as low as 10%. 15% of calories is for people who wanna maintain, a lower protein status. You'll see this a lot typically with pregnant women, where the body just sort of naturally says, to decrease protein consumption, from a health perspective, health, of the pregnancy. And then 40% of calories is really kinda the upper end, that you could go there, without starting to run into some potential issues, with balancing out other macro nutrients. The reason why I did a broad categorization of this, and a narrow categorization is that, the broad one gives you a sense of, really how far this range is. But the narrow one is much more realistic for most people. So look. For the vast majority of people, especially those watching this video. If you're doing CrossFit, if you're doing some workouts each week. Something like 100-200 grams of protein per day, is going to be a pretty good place for you to be. Now you'll hear all sorts of metrics out there, some people will say one gram per pound of body weight. Well, that would do pretty well, for people who are between 100 and 200 pounds, which again is the overwhelming majority of people. The overwhelming majority of adults. Some people will say one gram per pound of lean body mass, which is gonna be slightly, lower than, your totally body weight. So, say someone was 200 pounds, their lean body mass might be 160 pounds. So it would be one gram per 160 pounds. But generally speaking this is gonna be, a pretty good range for most of you. 100 being kinda on the lower end, depending on your size and your activity levels. 200 grams being on the upper end. But that's gonna do the vast majority of people, pretty well with what it is they're trying to do. Okay. Yes there's people like Thor the Mountain, from game of thrones who eats way in excess of this, but you are not Thor the Mountain, I am not Thor the Mountain. Most of us don't need you know, 10,000 calories a day, these super physiological doses. So, this is pretty good place for most people. What is that in percentage of calories, about 20% - 30%. That's gonna be a pretty good place. That's gonna help with things like, lean muscle maintenance, and building, fat loss, adequate replenishment of amino acid stores. Things like that. What does that break down to per meal? Well that's gonna be roughly something like. You know it's gonna depend on how many meals, but let's just talk about three to four meals a day, roughly. Four to eight ounces of, protein per meal. So let's say you're in the middle of this range, 150 grams. Eight ounces of protein is roughly 50 grams of protein. So if you have eight ounces of, chicken or ground beef or somethin' like that, that's roughly 50 grams of protein. If you have three eight ounce servings, that would be 150 grams of protein. If you're on the lower end of that spectrum, then somewhere between that, you know four to six range, again some people could maybe go as low as 75 here. But again just givin' you just sort of, a broad range of things, in terms of, how much you should be eating per meal. This is of course all gonna depend on, how many meals you have through-out the day. Some people may prefer to have, smaller more frequent meals, of smaller amounts of protein, rather than larger meals. So, hopefully that gives you a good sense, of how much protein you should be having. In this video we sit down with Emily to discuss her experience with our one-on-one nutrition coaching program. Emily's story is unique for a few reasons. -She is a nurse, who typically works the night shift -She had actually done the Whole30 before -She was already quite knowledgeable about healthy eating Yet, she was still able to make a tremendous amount of progress during the program. Emily: -Lost 30lbs over 3 months -Lost 12% body fat -Lost 4 inches on her waist -Lost 3 inches on her hips. -Even while losing all that weight her muscle mass stayed the same But even more important than what Emily lost in body weight, inches, and percent body fat is what she gained in terms of eating healthy. Her #1 goal was to get control over food not have food control her, and she definitely did that. In the video she tells us how now off-plan food items are now a choice she can choose to make or not make rather than a compulsion. Great job Emily! We're so proud of you and all your progress! 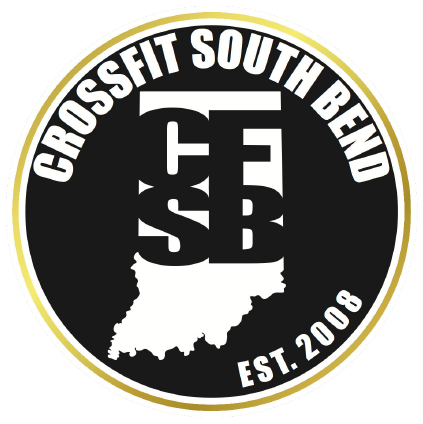 ________________________________________________________________________ - Hey guys, Robby here from CrossFit South Bend. Today, I'm here with Emily who just finished her three months of nutrition coaching. Emily, thank you so much for joining us. - Thanks. - So first thing we wanna talk about, even though it's not just about the measurements, Emily did a fantastic job. And she basically ended up losing 30 pounds while her muscle mass stayed the same, while she ended up losing 12% body fat. And then, 22 pounds of the total weight loss was basically fat. And then she lost four inches on her waist and three inches on her hips. So you did a fantastic job. - Thank you. - How you feeling? - I feel good. I just switched back to night shifts so I'm a little groggy right now, but overall, I feel that, that my body is doing more what I want it to. I'm more in tune with what it is doing. That it's not like, I just am inside of my body, I am, we're together, we're one thing now. - Good, good. So tell us a little bit about what eating was like before you started doing this? - I definitely ate out a lot more. And just something quick. I did try to pick the healthier eating out options, but that's all relative. And then, I did, I guess you don't realize until you start doing the food journal how you're really eating, so I would have probably argued that I ate healthier than I actually did. And then doing the food journal kind of showed that I was eating a lot of red light foods that I didn't have to have. Or like at work, those little mindless snacks that you don't recognize that you have because you're writing everything down. And so almost immediately, I stopped mindlessly snacking because then I had to write it all down and I didn't wanna write down all of those things. So that was like a big eye opener for me, that I was eating things that I didn't really realize that I was eating. And none of those were good for you. Someone will bring chips to work and there would be an open bag. Or occasionally, someone would bring fruit, but that's, you know, once a month versus once a week. So that was definitely a lot of bread, carbs, that like what I would eat out, that's what it would be. And now that's not the case. - Good. So take us through the journey. Take us through like, what was month one like? Where we were gradually working up, and then month two with the Whole30 and then the reintroduction. Tell us how journey was for you, that whole process. - So the first week was just, I did what I had been doing and just wrote it all down. And so, I was surprised that I was like, "Oh, this is what I've been doing." So that was a good, I wasn't terrified at the beginning. And then it was, every goal was something that was accomplishable. And I do remember missing a goal at the beginning and I was really mad about it. But it wasn't like an accusation, it was like, this is like, it just wasn't made. And then from there, it was just like, now I'm making choices of, you know, if I'm not gonna eat as many bad things, which ones would I choose? And then, the final week it was like I don't have to eat anything bad and I think it was almost like a conscious decision to have a glass of whisky with my sister. So, at that point I felt like it was already that control over food was starting to come into play, because you're conscious of what you're eating and you know that this is an actual decision. - And then, in terms of your Whole30 journey, you and I were just talking about this. You were saying you had kind of attempted it before but this time was different. Tell people about that. - So, part of the difference was I didn't do it cold turkey this time, so with the gradual cutback in the month one that made it a lot more realistic for me to believe I could achieve the Whole30. And then moving forward beyond that, my kitchen was ready to accomplish the Whole30. That was a big. I already had all the food I needed with the grocery store tour, I knew I didn't have to make a whole bunch of random sauces myself. Because plain chicken, or whatever, is very boring after a while. So they have all the different sauces that I could buy instead of trying to make them myself. That was a lot more convenient. And then, having the book resource, as kind of what to anticipate per day because it had the days marked out. So then I would read that, or if I was having a particularly bad day, it's like well, that's how I'm supposed to be feeling right now. So that wasn't as scary, and then just knowing that I had support, that I wasn't just off in no mans land doing it myself. - Absolutely. So one of the big things with Whole30 is the whole concept of not in scale victory. You obviously got major scale victories, but one of your main goals that was a non scale victory was control over food and your relationship with food. Tell people about that. - So, after the Whole30 there's been some significant life stress and in the holidays, too. But, it was really important to me to not consciously choose to send Robby an email that said, "Hey I had something I wasn't supposed to, I know you'll forgive me." It was, I know that I don't have to make this decision and it was really important to me to not use food as a coping mechanism, and it was also like I was really proud of myself afterwards because once you finally are done, it's "Okay, I've made it this amount of time without using food as a coping mechanism and now I know going forward that I have the will power and I have the capacity in education, too, to make healthier decisions and to follow up knowing that when I do make an unhealthy decision, I'm not just being ignorant. - So did you experience, besides the control over food which is fantastic, did you experience any other non scale victories like, in energy, mood, cravings, digestion, recovery from workouts, anything of that nature? - I will say I was kind of irritated about the cravings - Yeah. - Because, in relation to my menstrual cycle, they would still come, and so I was really mad because I read the Whole30 book and after you pass a certain point you're not supposed to having the cravings. So that's the only thing that I was a little irritated about but that's realistic. And so, now I know that and so can be proactive about that. Also, I definitely remember it was like October 13th, and I thought the workout here was pretty challenging. But I was really proud of myself, I felt like my body was working really hard and I knew I was taxed but I didn't feel like I was achieving. So I patted myself on the back for the capacity that my body had to achieve the workout, so definitely noticed an improvement there. Since then I got a cold but, you know, it happens. - Right. So, you work as a nurse in a hospital. One of the most overworked, underappreciated jobs in the healthcare field, but harder to be healthy. What would you say to people, and you know, you work the night shift and you're incredible working the night shift. What would you say to people who are like, "Oh my gosh, I work the night shift I can't do this," or, "I work as a nurse," "I work in healthcare, I can't do it," what were your thoughts? - There is always food, always food. And patient's family members will bring us food all the time so, that's a realistic thing that will never change. And a lot of people experience that at their work as well, that there's constantly something that someone brought to share. And so, it was just, "No I can't have that," it wasn't like a big deal and I would just walk away. Because I work 12 hours at a time, and sometimes have to stay over, I always have different nuts in my bag, an EPIC bar, or some kind of dry protein that way. And then typically, whenever like, quick grab type things I would do hard boiled eggs, and sometimes fruit. And then I always take two lunches and two snacks. And people think I'm crazy 'cause I'm like, "I gotta eat some more food," because every two hours I'm sneaking food out which is against all the rules and if anybody from JCAHO, they don't know where I work. Sometimes you're really busy and you don't have time to eat, so making sure that the food I brought was nutrient dense was important. So now I've been meal prepping more regularly I know which foods will sustain me for the majority of my shift, or for a significant portion. And sometimes, I had read, nurses had written about doing the Whole30 and eating healthy at work, and I had read about that she would bring multiple options so that if she didn't want something, she would have something else to fall back on. So that also helped me to maintain staying on track and working nights, they would only offer the night shift menu, which is typically, if they offer a salad, it's scary. And then most of the other options are fried or scary. I don't know they are prepared. So, then you have to be a lot more conscientious that you bring your food. Because a lot of my coworkers will stop on the way to work and pick up something. So it's making sure I get up in time to make breakfast. And even if I take it with me and eat it at work, I still have made it and I have it. So that's been the biggest thing, just being conscientious in that way. - Okay, that's really helpful. And then, I guess the last question I have is, do you think there's a sustainable long term? Do you feel like, I mean obviously you and I have talked about, you know of course you can have pizza for special occasions. But I mean like, generally speaking, 80 to 90% of the time do you feel like this is sustainable long term? - Now I do. If you had asked me at the beginning I don't think I would have, I would have probably lied and said that I believed that I was because that was the right answer. - Right. - But as I had success, just with one, like the meal template itself was successful, and then as I saw success in like, my clothes no longer fit. And then saw success that it wasn't a figment of my imagination either, it was on paper. Those things were encouraging to maintain the changes I was making. So now it's knowing that putting good food in my body means that I will feel better and be more confident that's like I know I'm feeling myself appropriately to do the job that I need to do at work and then to perform well in the gym, and just to live a healthier life and feel better in general. And now I know, even just as we've added the things back in, and we've talked about too many of the yellow things I can tell, it's like, "Oh you are eating too many," because I feel that heavier feeling even though those aren't nearly as bad of the foods I had been eating. So it's also being accountable to yourself that, if I choose to eat something bad I know the consequence that will have. And so, now I feel that I have the education to make an accurate decision. I have the capacity in my kitchen and in my desire to eat healthy. And then, just being persistent that I'm going to choose to do that anyways. - Awesome, absolutely. So, I know I said it before but I'll say it again, super proud of you. Think you did a fantastic job. The numbers speak for themselves, but I think even more importantly than that, just your ability to have control over food and just control your own destiny, so I think you did a fantastic job. So thank you so much for joining us. - Thank you. - For telling us your story. Alright guys thanks so much for tuning in, we'll see you next time. In this video we discuss the basics of how to calculate your macros. When a dude-bro asks you "Dude-bro, what are your macros?" they're asking what your macronutrient ratios are. What are macronutrient ratios? They are a a way of splitting up the total number of calories you eat per day into different amounts of protein, carbs and fat depending on what your goals are. -The macros for classic keto are: 20% protein, 5% carbs, and 75% fat -While the macros for bodybuilding might be closer to: 40% protein, 40% carbs, and 20% fat. There are tons of different ways to split up your macros depending on your goals. In this video we explain how to do a basic, entry-level, breakdown of your macros. This is just one way to do it, and it's not the end-all be-all. But it can be helpful as a way to start. To do these calculations you'll need your Total Daily Energy Expenditure (TDEE). If you have an InBody scan this is easy to calculate accurately. If you don't you'll have to guesstimate with something like the following calculator. 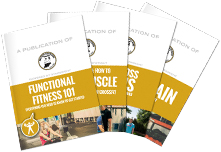 From there you can use the guidelines we discuss in the video to calculate your macros. In this interview we sit down with Coach Mike to talk about his thoughts on healthy eating. This video is definitely bittersweet because Mike and his wife Carm, who we very much enjoyed having at the gym, recently moved away. Luckily, we were able to film this video before he moved away. Mike: -is a high-level ultimate frisbee athlete and he talks with us about different nutritional aspects of his sport -works a 9-5 job outside of a gym setting where eating healthy wasn't always as easy as it would be working in a gym setting In this video Mike tells us: -What eating was like for him growing up -His personal evolution when it comes to healthy eating -What he currently eats on a daily basis with concrete examples -What he's learned from years of being an ultimate Frisbee athlete -What his favorite off-plan foods are -His favorite special occasions to eat off-plan food. After a holiday hiatus, we're officially back for 2019 with all new Wellness Wednesday videos. Here's the first one. No matter how much money you have, no one can be healthy for you. you could hire (with sufficient money) someone to do those things for you. At the most extreme level, technically speaking, you could even hire someone to raise your kids for you with no involvement from you. Probably not the best idea, but, technically speaking, it's possible. -only you can participate in stress reduction activities on your own behalf to reduce your own stress. No one can do these things for you, no matter how much money you have. This means your health and wellness can't be outsourced. This is why it's so important to create healthy habits around diet, exercise, sleep, and stress reduction because no matter how much money you have you still have to be the one to do these things for yourself. Looking for help in establishing these habits? That's exactly what we do with our one-on-one coaching programs, and we can help you achieve your health and wellness goals with these healthy habits. The January 2019 Whole30 is officially underway! Didn't start on Jan 1? That's okay! It's not too late to get started working with a certified Whole30 Coach at CrossFit South Bend. Over the past few weeks we've be highlighting some of our best stories from 2018 of people who've had success with the Whole30 doing our one-on-one nutrition coaching program. This will be the last week we'll be doing this, and next week it will be back to all new episodes of Wellness Wednesday. In this video we sit down with Tiffany who completed our one-on-one heathy eating program. Tiffany's story is interesting for a number of reasons, but one that really stuck out to me was the following. The main reason she decided to do one-on-one coaching wasn't to lose weight, but to love herself more and create more positivity in her life. In our society, we sometimes equate loving ourselves with arrogance or self-obsession. But there's a healthy form of self-love that Tiffany is describing where you care for yourself so that you can care better for others and be the best version of yourself possible. As she said in the video, if your cup is empty you're not going to be able to fill anyone else's cup, and therefore doing things like eating healthy, working out, sleeping and de-stressing allow you to be the best version of yourself you can be. Tiffany accomplished the following during her program. Even though she was already eating really well before she started the program she: -Lost 13lbs total -Lost 10lbs of pure fat -Lost 3.5% body fat -Maintained her muscle mass. She also got some non-scale victories: -Not anywhere near as sore as workouts -Went from a half-pull-up to doing pull-ups -Energy way better, no 2-3pm slump -Saving money because she was cooking most of her meals. In this video we sit down with Will and Katie who just finished our one-on-one healthy eating program. Both Will and Katie lost 20lbs while doing the program. They did all this while being career professionals and while raising their young son Wayne. Will and Katie we're so proud of you for all the progress you've made! Keep up the great work!